In today’s world, retail innovation is ever-present and it is clear that retailers failing to improve the customer experience will not prosper. What businesses cannot do is refuse to transform into a world that is being disrupted by technology. Amazon, one of the best customer experience organisations in the world, understands that you can’t sit still in an industry that is always changing to meet the customers’ demands. Syndeo takes a look at what all industries can learn from Amazon. The past decade has witnessed the collapse of many of our best known high street brands, from Woolworths to BHS. In the last few months, two more familiar names –Toys R Us and Maplin’s – are in the retail graveyard, just the very latest indicator of the far-from-rosy outlook that faces the retail sector. A number of other famous names, including Mothercare, now appear to be teetering on the brink. Whilst each retailer has its own individual reasons for tumbling into administration, underlying trends driving this are familiar – failure to foster innovation; stay relevant; be where their customers are. A mistake a lot of these retailers made was a failure to invest in the customer experience. It’s almost as if they became separated from their customers in a way that made their experience and service an afterthought instead of a fundamental part of the business. Of course, Amazon realised this a long time ago. They understand that from a customer point of view, the true cost of doing business with Amazon is much more than just price. They invest so actively and heavily in making every step of the customer experience frictionless that many of us happily use Amazon over retail outlets because it’s simple, easy and consistent. While retail remains the most visibly affected sector being disrupted by technology, others can hardly afford to be complacent. If they do, they risk a similar fate. So, what are the key learnings for all industries from the Amazon-ian effect? All companies like to believe that they place the customer at the heart of their business. But the reality is that the orientation and prioritisation are often derived from what is easier and more efficient for the company, rather than what’s better and more effective for the customer. 1. You have to listen to customers. Organisations that don’t listen to customers fail. 2. You have to invent for customers. If all organisations do is listen to customers, they will fail! 3. You have to personalise. Take every individual customer and put them at the centre of their own universe. 4. You have to make space for experiments where you can fail and learn. These pillars are characterized by a Jeff Bezos illustration. During Amazon’s early days, he would bring an empty chair into the meetings and say it represents the customer, which is the most important person in the room. Everything Amazon does as a business is oriented towards the customer. Amazon doesn’t just adapt to meet customer demand, its primary competitive advantage is its ability to anticipate what the market will want and deliver innovative solutions that change customer behaviour entirely. We have all been buying goods online for years, but through Amazon’s innovations, we are now able to execute our orders with one click buying (Amazon owns the patent). And the same service that provides everyday items delivers ebooks to tablets and streams music, audiobooks and videos across numerous devices, all for the same small subscription fee. With a service like Prime, Amazon addressed a need that we didn’t even know we had – the need for a seamless shopping experience across an ever-expanding basket of goods. Amazon Web Services, is another example of innovation, expanding Amazon’s core offering from eCommerce to the digital B2B space. AWS is used by businesses ranging from small family-owned operations to household names like Netflix. Besides supporting Amazon.com’s massive infrastructure, AWS now accounts for nearly 10% of Amazon’s revenue and has expanded the company’s reach, establishing them as a competitor with tech companies like Google and Microsoft. It has also made the cloud much more accessible for small businesses that would have had to invest in complicated or expensive cloud computing solutions. 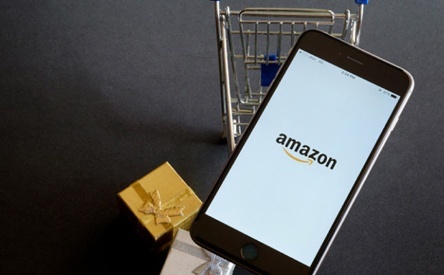 That’s because Amazon anticipated the digital needs for organisations of every size and acted quickly to provide a solution. With these innovations, Amazon hasn’t just exceeded expectations – they’ve moved the goalposts for companies across every industry. They’re redefining what consumers even think is possible. Businesses cannot afford to stay within their comfort zones, they must start thinking about the vision of the future that places innovation at its very core otherwise they will fall behind – consider the now-defunct Borders which went under after it refused to sell its’ own products online and instead outsourced online bookselling to (you guessed it) Amazon. Amazon has a history of launching full-force into unchartered territory – territory that would have gone unexplored if they waited for perfect predictions about what would come next. Businesses are often cautious to take risks and try to mitigate by waiting for flawless projections and models. While this is reasonable for large fixed cost investment, it limits opportunities for growth when applied to more dynamic industries. Amazon has taken an agile, high-velocity approach to innovation, preferring to act fast recognising iterations are necessary. They are comfortable knowing that they can always improve on solutions once rolled out, but the key is making the decisions to roll them out in the first place. By striving to constantly improve rather than banking on the perfect solutions for the first time, Amazon has the ability to launch a minimum viable product (MVP) quickly and then iterate and improve based on real-time customer feedback. It is evident that Toys R Us lost too much time in changing its business model and failed to react when needed. The time now available to execute an idea and get it to the market is getting severely crunched and businesses cannot afford to lose time. Agile thinking should be the norm, not an anomaly. 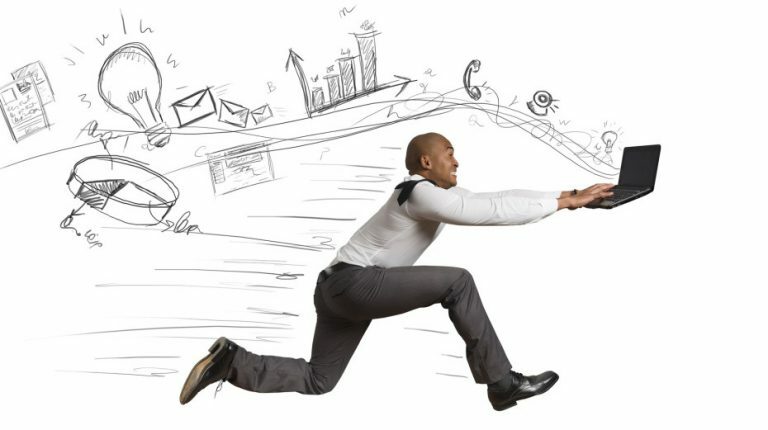 Businesses will increasingly be required to adopt the agile culture and learn to react quickly otherwise they will be quickly outpaced by more agile competitors. Considering these three strategies, it’s easy to see the (not so secret) secret of Amazon’s success. Not every business has the resources or revenues to be Amazon. But we can all learn from the ethos of customer-centric innovation that has guided the company towards better user experiences. Fifty years from now when Amazon is shuttling its Prime members around in flying cars, most people probably won’t remember that the world’s most valuable brand started life as a simple online bookseller. The tech giant has far surpassed its more humble beginnings, and not just in retail.